With the top two seeds, #1 Xavier and #2 North Carolina out in week one, #3 seeded Michigan and #4 seeded Gonzaga head to Los Angeles, CA this weekend as the favorites as they get set to match-up against #7 seed Texas A&M and #9 seed Florida State respectively, but are they really the favorites for a spot in the 2018 Final Four! If the South had the most amazing weekend with all top seeds heading to the sidelines, then the West wasn’t far behind as the top two seeds Xavier and Carolina went down to athletic and defensive minded squads in Texas A&M and FLorida State. That means that the remaining two seeds Michigan and Gonzaga are going to face some tough match-ups this weekend. So like the South, it looks like just about anything is possible in the West Region, and it looks like two clubs who didn’t get much respect as they entered the tournament will have excellent shots at advancing to the elite eight. So with that in mind lets look at the Sweet 16 match-ups and see who has the best chance of moving forward in Los Angeles! Mark Few’s Gonzaga Zags dominated play in the West Coast conference winning both the regular season and tournament titles with only a single regular season loss to St. Mary’s. They have had a couple tough wins on the first weekend in the NCAA’s with a four point win in come from behind fashion versus UNC-Greensboro, then held on for a 90-84 win over the #5 seed Ohio State behind the stellar play of 6-5 freshman Zach Norvell who scored 28 points, on 6-11 shooting from beyond the arc, and pulled down 12 boards. He got solid support off the bench from 6-8 soph Rui Hachimura who chipped in with 25 points. But, they are more than a two man show featuring six players who average between 9.3 and 13.6 points an outing. Look for 6-3 junior Josh Perkins and 6-9 forwards Jonathan Williams and Killian Tillie to get back on track this week! The Zags will need them to be ready versus Seminoles. Leonard Hamilton’s FLorida State Seminoles finished in 8th place in the Atlantic Coast conference this winter, but don’t let that fool you, they proved against #1 seed Xavier that they can flat out hold their own against the best in the country taking out the West region favorite 75-70 coming back from 12 down with 11:54 to play to win a hard fought victory. They did it with a tough defensive effort and a willingness to work together on the offensive end that produced five players in double figures to take out the Musketeers. They really swarm on you from baseline to baseline on “D” and believe they will create enough possessions to give themselves a chance to win. This is a key that they will need to duplicate versus an efficient offensive squad like Gonzaga on Thursday! For Gonzaga – The Zags have to handle the Florida State pressure, something they will face from the opening tip. THey will need all hands on deck offensively, getting production from all six of their potential double figure scorers. They won’t get by with a couple huge games like they did versus Ohio State. Offensive efficiency will be the key as Mark Few’s Zags need to dictate the tempo and make the Seminoles prove they have enough offensive, not defensive firepower to win this Sweet 16 match-up! Another Key is to weather the early storm FSU is going to try and create, and not fall behind early! For Florida State – Can the Seminoles force the tempo & style of the game they want by utilizing their defensive pressure for 94-feet. They will need to make sure that the Zags don’t get easy shots on the perimeter and take away the dribble drive with the help of their length in the paint. FOr the Seminoles, their offense starts with their defense, but they have players who can score, with nine players who average between 6.6 and 12.9 point. Big key is not to get into a long-range shooting contest with the Zags, they need to score off the turnover or dribble drive to be successful. The outcome: I think this one will have the tone set early on, if Gonzaga weathers the early pressure and settles in to their normal efficient offensive structure they should be able to score enough to win the game, but Florida State showed they can come from behind and win versus nation’s best. Gut feel is this will come down to the final two minutes and Gonzaga will hold on for a close win at the free throw line! Michigan comes in as the top rated seed in the West Region’s Sweet 16 bracket and have been doing what it takes to win 11 staright heading into Thursday’s games. Winning the Big Ten tournament for the second straight year to earn a 3-seed. That streak includes a last second win over Houston 64-63 on a 30-footer by Jordan Poole as the clock ran out! They’ve beaten #2 seeded Purdue with Isaac Haas twice during that stretch along with a victory over #3 seeded Michigan State so they’ve proven they belong in the Sweet 16. But they may not have faced as dominant a front line as they will face in Texas A&M! A front line that destroyed #2 seeded North Carolina last weekend by 21 points 86-65 dominating the paintscoring 40 points and pulling down 30mboards versus the Tarheels. Yes, we know the Aggies finished in 7th place in the SEC, but not because of lack of talent, more about lack of cohesion offensively, something that looks like its been overcome heading into this weekend. John Belein’s Michigan squad features a balanced offensive attack led by 6-11 Moritz Wagner (14.2 ppg / 7.1 rpg), 6-6 Charles Matthews (12.8 ppg), and Muhammad-Ali Abdur-Rahkman (12 ppg) while three others averaged between 6.2 and 9.3 points a game. But it is the Wolverines ability to play in control, not turning the ball over (9 tpg), and playing some nasty half-court defense that has fueled the current win streak! It is that defense that puts them in a position to make this run in the tourney to date. Is it enough to keep them moving forward? Billy Kennedy’s A&M Aggies squad has been an enigma all year, very athletically gifted, but struggling to gain the consistency on the offensive end to perform at the level that Coach Kennedy had expected heading into the year. But, they did enough to impress the tourney selection committee and they are making their selection not only a correct one, but one of the better at large bids. They struggled a little versus Providence, but found their stride in crushing UNC behind the great play of their front court and the stellar play of guards T.J. Starks (21 vs UNC) and Armon Gilder with 12 points. They really opened up the lane for the bigs and were key to the run to the Sweet 16 for the Aggies. For Michigan – The Wolverines need to control the tempo of the game, running when available, and attack the A&M defense off the dribble or with the pass to see if they can get the A&M front court into foul trouble like they did with both Michigan State and Purdue in the Big Ten tourney. Along with that they have to force the A&M guards to take shots they don’t want to. These are keys if they are to overcome the size and athletic advantage that the Aggies have on the inside. This is the key to a Wolverine win! For Texas A&M – The Aggies really just need a repeat performance of what they did to North Carolina, a possible but tough order based on their inconsistency during the season. But, the Aggies have a definite advantage on the blocks and could get Moritz Wagner into early foul trouble that could be a real problem for the Wolverines. Key to making that work, will depend on the A&M guards being able to make & create shots. Not turning the ball over before the Aggies get into half-court game could tell the difference in this hard fought Sweet 16 match-up! The outcome: Like game one this one will be close because of the resolve of both clubs, and the fact that they both may struggle to score in the early going. They are both excellent defensive squads and have shown that they can defend the paint, especially A&M. Personally I think this is the best shot for an upset in Los Angeles, but I’m picking Michigan in a squeaker! IF Teas A&M pulls the upset I might reverse that thought going into the Elite Eight! 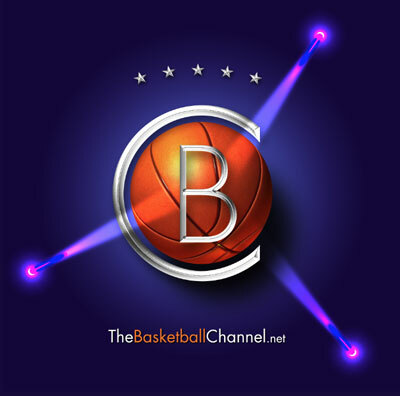 Up next we will break down the ast Region, one of Friday’s regions in the other side of the bracket in the Sweet 16, right here at thebasketballchannel.net.